Excellent at fighting with guns and swords. She also wields lightning-based powers. 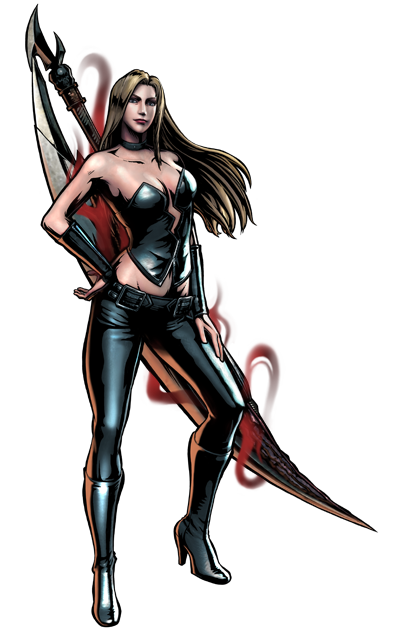 She uses the great sword Sparda, once wielded by the legendary devil knight of the same name. She also has dual guns, Luce & Ombra.